"If my navy blazer could talk… Don’t worry, this one doesn’t. Like a loyal pooch, it will follow you wherever you go, attract the good type of attention, bring a smile to your face, and it can’t tell tales. Wear a navy blazer to any occasion where you feel you can do with a smartening accent to your getup." "Classic, timeless blazer tailored from pure New Merino wool for the perfect fit. Ideal to finish smart casual looks." The item was as it looked in the catalogue and fitted perfectly. The protective packaging enabled the garment to travel exceptionally well. Product matched the description and my expectations. 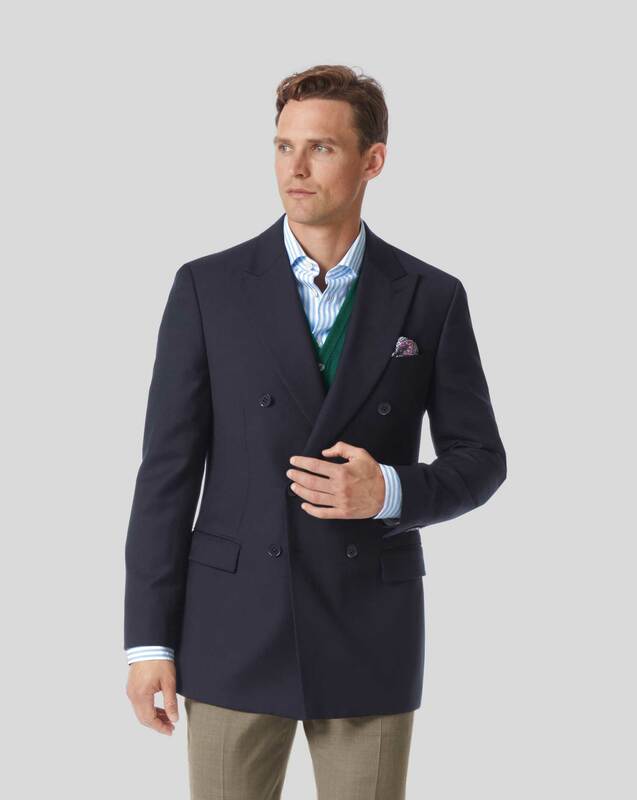 Response from Charles Tyrwhitt: We truly believe this blazer is - just like the name suggests - perfect, so it's a real disappointment to see you were not completely thrilled with it. We wouldn't want you to feel like you are left with an item which won't be enjoyed, so you are welcome to return it to us under our guarantee if you wish. I hope it does grow on you, however, and I am sure you will like very dapper indeed wearing it! Still waiting for it to arrive!!!! A 7 day delay. Response from Charles Tyrwhitt: I am sorry to hear that you are yet to receive your order, I can see from your account and tracking information that the order was due by the 27th, and out for delivery on the 24th but held due to an address query. I have contacted you directly so that we can discuss this further, and ensure that you can receive your purchase as soon as possible.